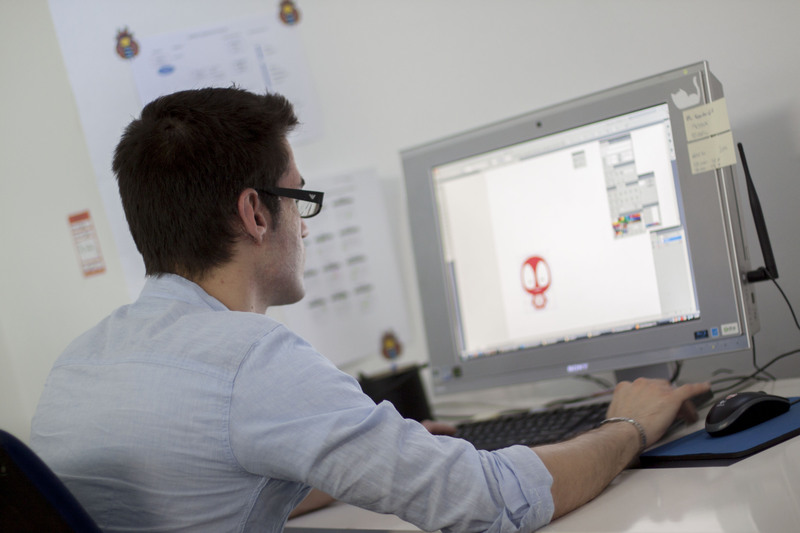 Everything begins when confirming an order we exercise the validation of the drawings (checking the resolution, the colors proof, etc...) When everything it’s ok we send the designs to production, starting what we call the process of creation of the badge. Then we manage the specific procedures to print layouts, fixing the client's image to the size of the original template (if request). 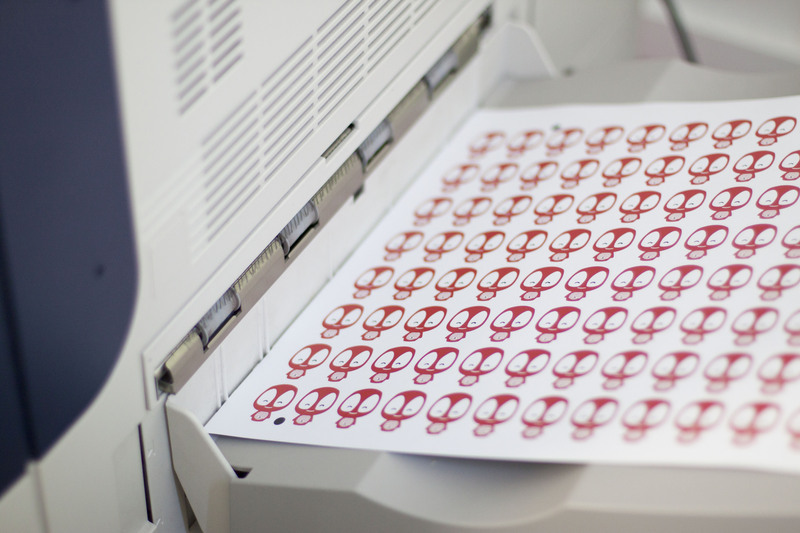 Based on the amount of pins to produce we will adapt also for printing, producing the required amount of papers to carry out the order. Once printed, we check again that the colors are corrected. The designs will be printed on paper CO2 neutral. A high-quality paper that is environmentally and eco-friendly. 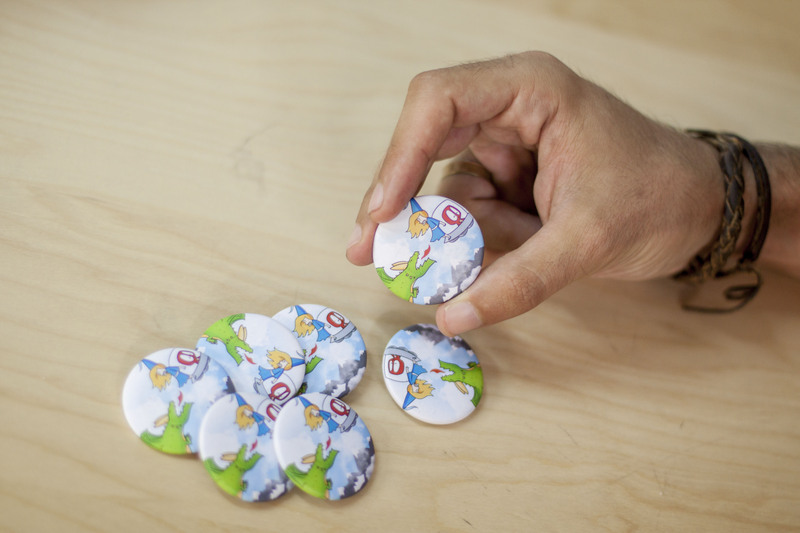 Depending on the size and type of badge the designs are punched, placing the two parts under pressure, to get one. From one side the printed design on the other the pure metal. 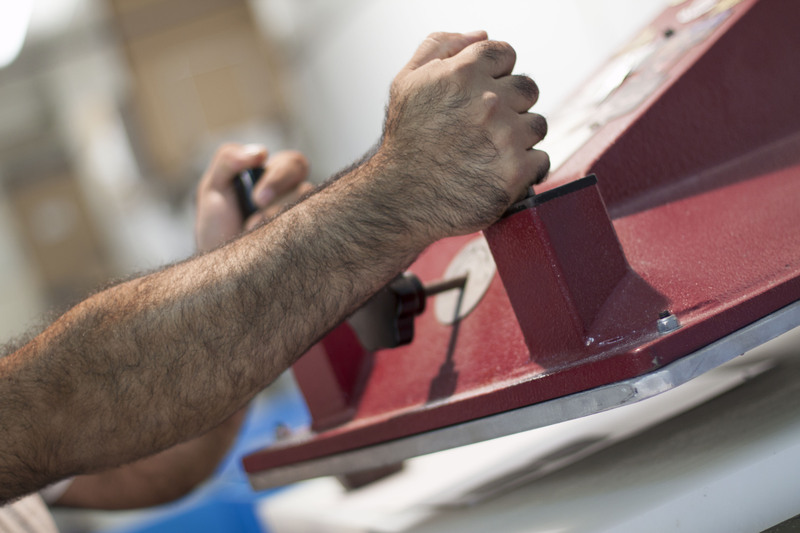 Here our production staff makes the third check, checking that all is fine: printing, colors and finishing. 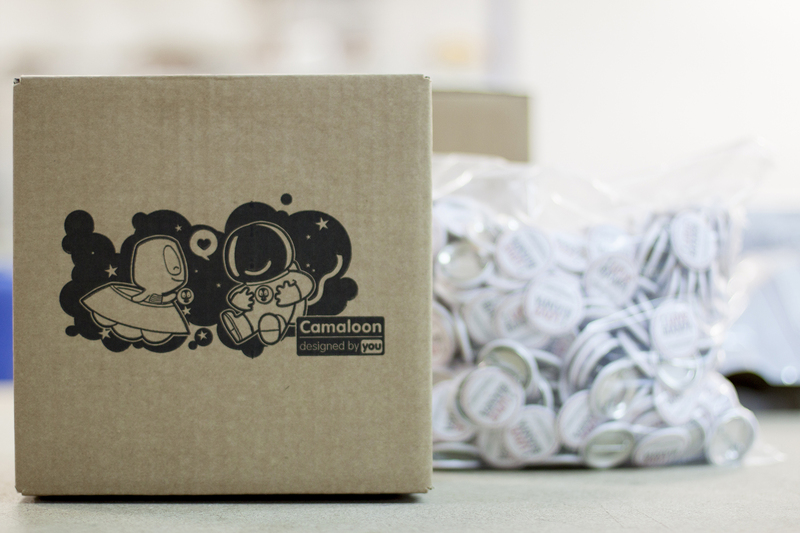 Finalizing the process of production, the production team of Camaloon will control the amount of pins, to achieve the ultimate final inspection and finally package them in the box. To seal the package there will only need to put it on the waiting list and wait for the truck DHL which will arrive promptly at 18pm to take away all the packages and deliver them around the world.